Other products we know you’ll love! Get ready for an exciting expedition off your yoga mat and into the wilderness. 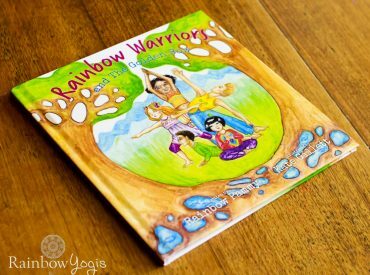 This book by yoga instructor, Rainbow Pammy, has been designed to encourage kids to take their yoga practice out into nature. Developing a greater awareness of the environment, an appreciation of its beauty and the importance of their own place in it. 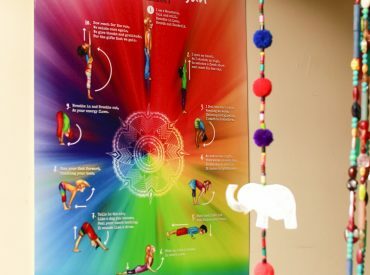 This beautiful poster has been specially designed by Rainbow Pammy, with illustrations by Kate Gillett, to help teach kids the basic Ashtanga Yoga Sun Salute (Surya Namaskara A). Printed in full colour A2 Plus size (500mm x 735mm) on 250gsm card. 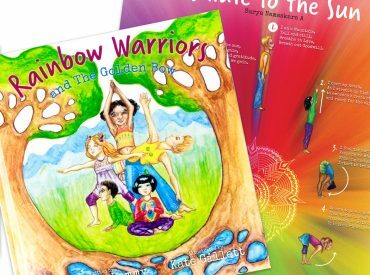 Rainbow Pammy’s kids yoga resources are a great way to introduce children to yoga and mindfulness. We thought every little yogi deserves a Kids Yoga Tribe bundle for Christmas this year so descided to help plant the seeds with a 20% off special! This pack includes one book and one poster. Lets work together to grow a conscious generation.